The Self-Absorbing Man: "We Have a Hulk"
Hulk. 2012. Gouache and acrylic on bristol board, 11 × 17″. That's great as always! Do you do an underpainting with acrylic and then go on top with gouache? It's mostly all gouache. My underpainting is usually in burnt sienna (watercolor in this case). The initial stage looks like Black Widow in the top right corner. What was this for? A commission or an upcoming cover? If you pardon the pun, it's incredible. 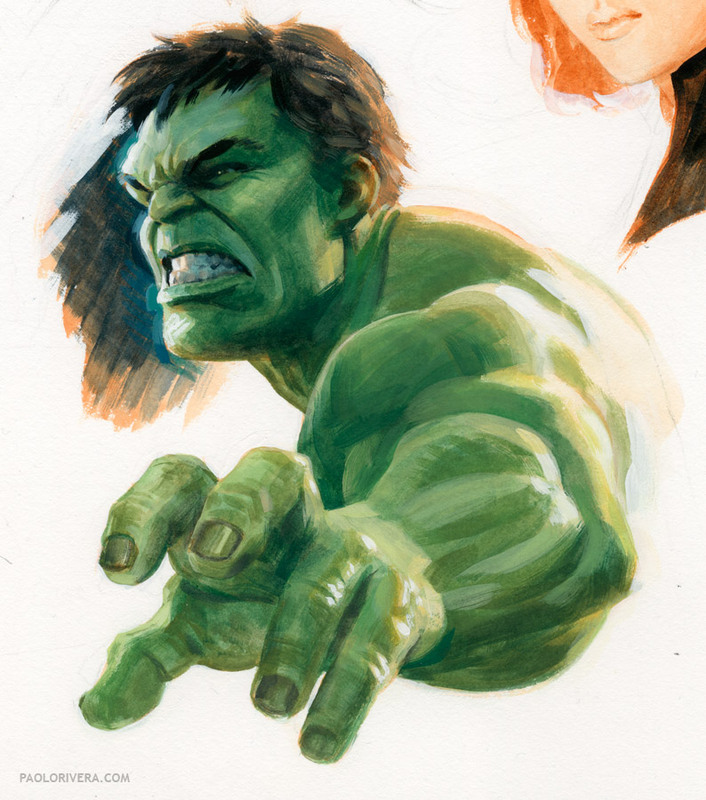 It's part of a page of Avengers studies that I did for fun. That's Black Widow in the top right corner, but she's not done yet.